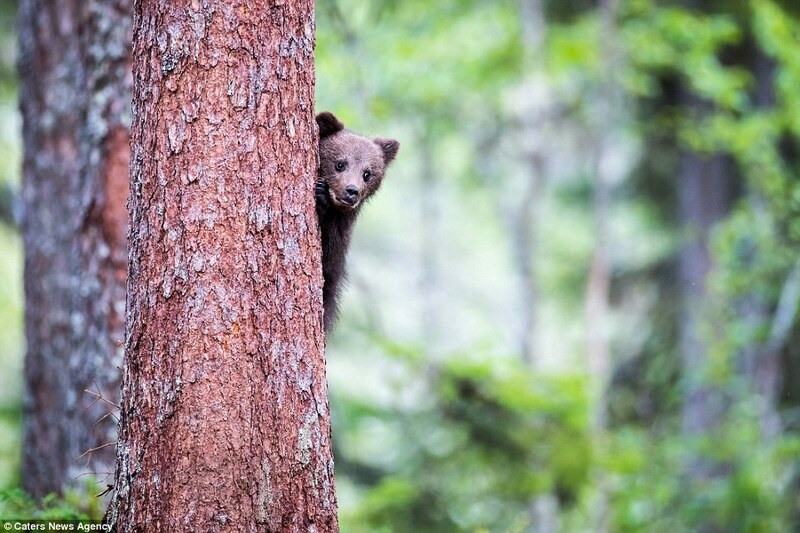 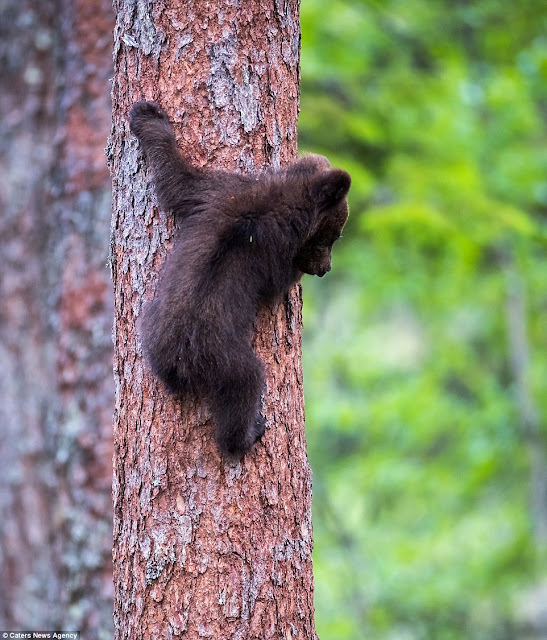 This is the adorable moment a cheeky bear cub poked its head around a tree - as if to say 'look at me!' 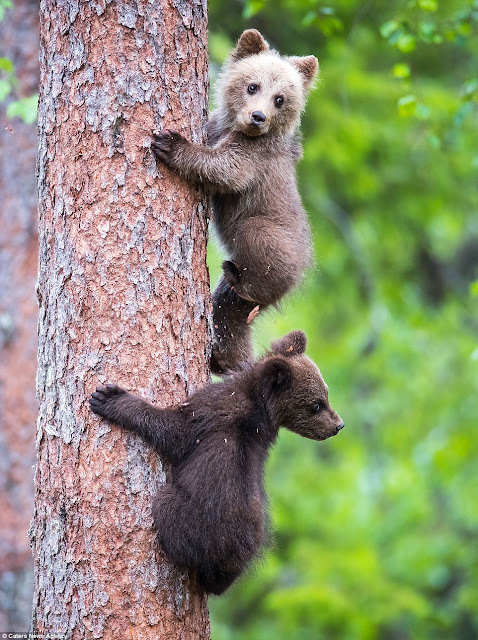 - as it practised climbing with its sibling and mum. Their mum kept a close watch and gave them an encouraging nudge after they stopped just a few feet off the forest's floor. He said the cubs watched their mum carefully and after a while she helped to bring them down safely. 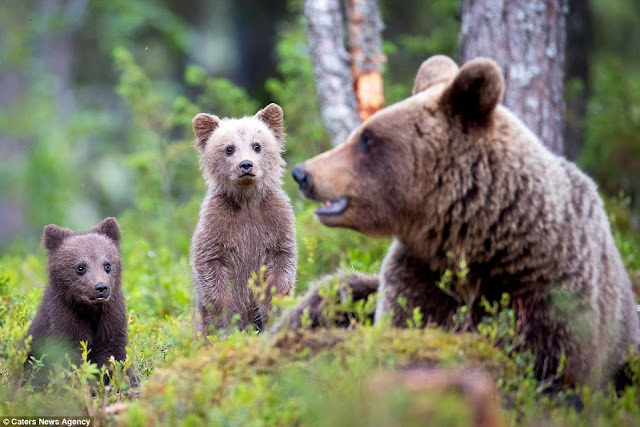 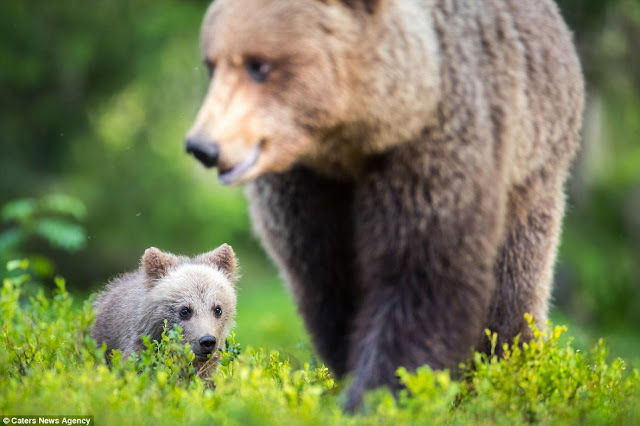 Bjorksten said: 'It's rare to see bears in Finland – if you just go to a forest. 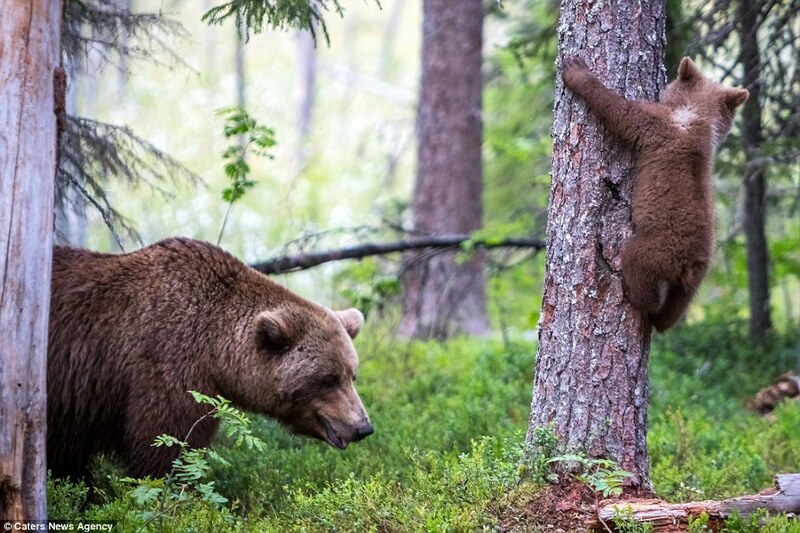 We used preparations like food as a temptation for the bears. 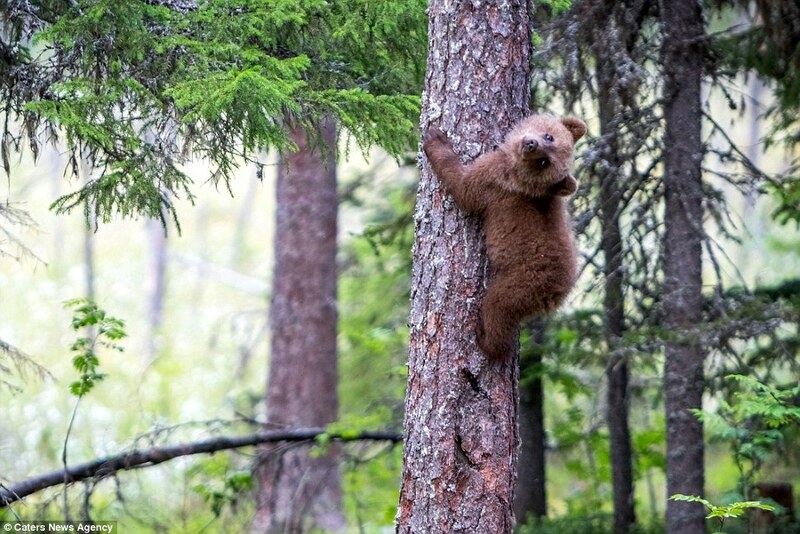 This is why we were sure we were going to see the bears. 'We stayed over 14 hours in the hide for our own security but it didn't take long for the bears to appear. 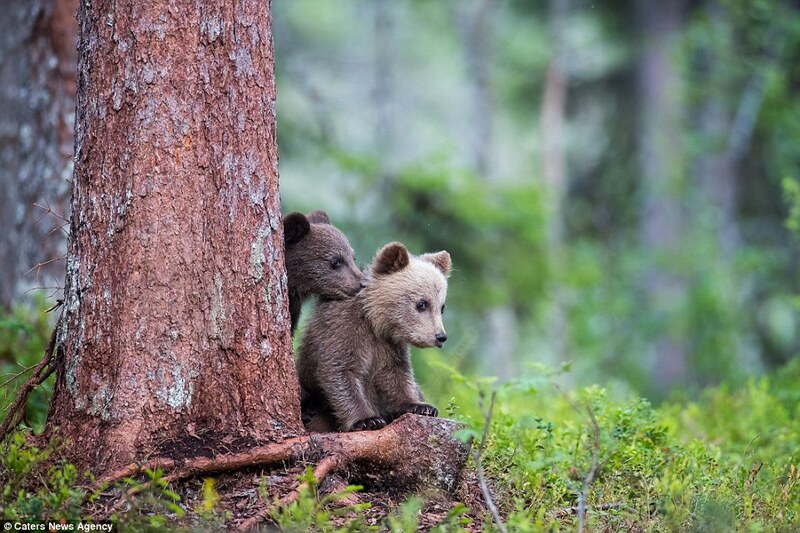 They did come and go. 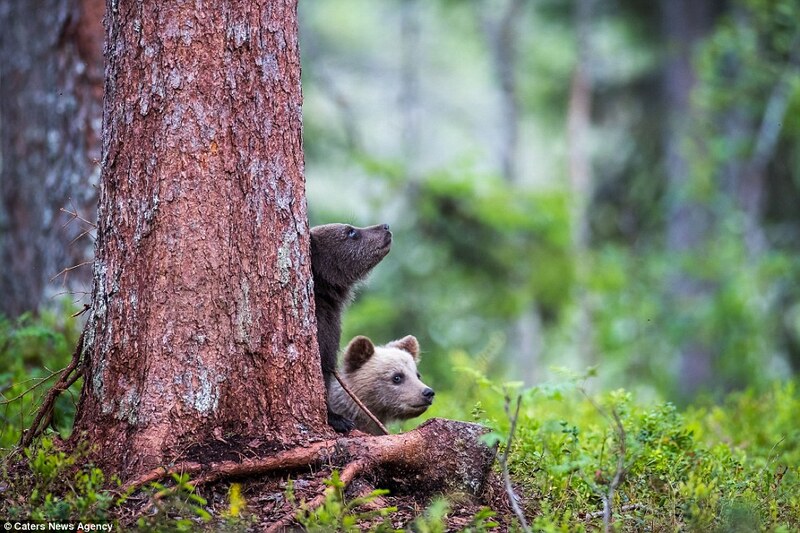 There were sometimes long periods when I could see only the empty forest. 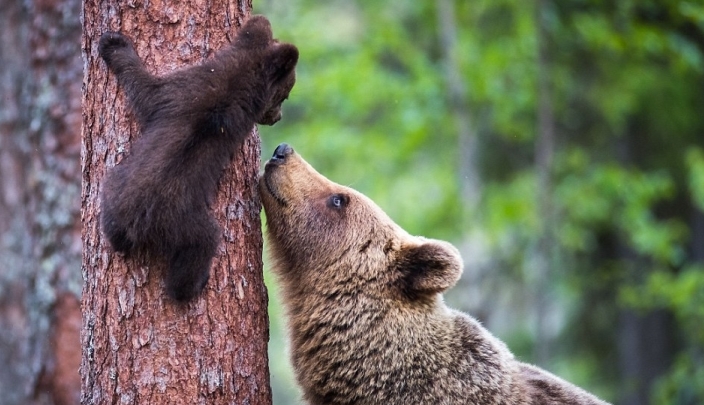 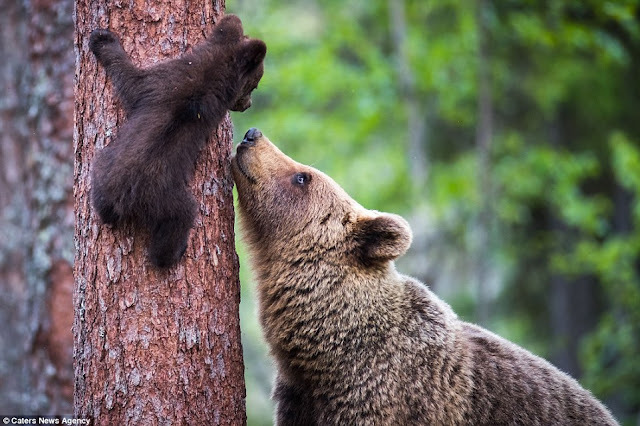 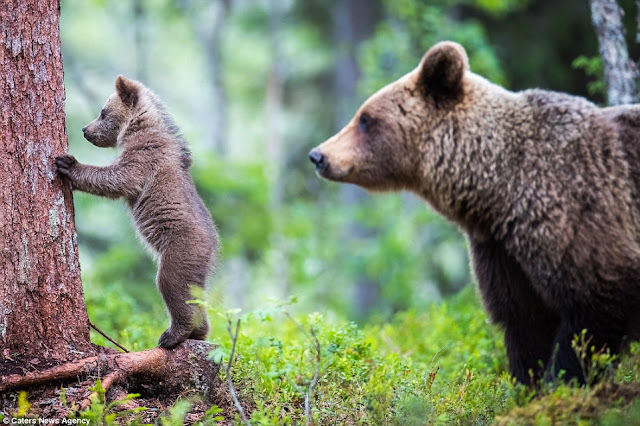 Responses to "Momma Bear Patiently Teaches Her Babies How To Climb A Tree "